The Vapor Eagle can do it all. Each variant aside from the hero is capable of running multiple high-tier builds, and between them there aren't any major build archetypes this mech can't run well. The sheer number of good builds coupled with decent hitboxes, mount locations, and jumpjets easily puts the Vapor Eagle among the best mechs in the game. With that said, the Vapor Eagle is rather fragile, and many of its best builds go much slower than typical 55-tonners. Its arms are particularly fragile, but this weakness, like the others, can be partially mitigated with proper positioning and damage-spreading. 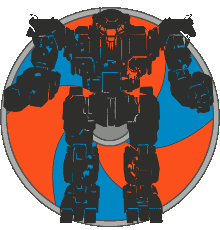 The Vapor Eagle's greatest strength is that is an agile (albeit often slow) 55-ton Clan mech with jumpjets, that can equip the same builds as mechs 20-30 tons heavier. This ability to output damage ultimately trumps every other factor in MWO, and the VGL does it better than other mediums. The VGL-1 can field the widest variety of viable builds out of all the Vapor Eagle's variants. While it shines best with PPCs and Gaussvomit, it can also run dakka and ATMs in a pinch. If you are only going to get one Vapor Eagle, get this variant. A highly effective incarnation of the powerful Clan gaussvomit archetype. This particular build runs very cool, allowing you output a consistent stream of mostly-pinpoint damage at mid-long range. The high agility and reasonably compact silhouette of the Vapor Eagle allows you take full advantage of the build; quickly moving in and out of cover and repositioning to keep pressure on your opponents. The only significant vulnerability of this build is the fragile arms, particularly the one containing gauss. You can run this build with four cERML instead of three, but it requires a significant drop in speed and heat efficiency that doesn't end up being worth it in most cases. Four cERPPCs is more firepower than a medium mech has any business carrying, but the Vapor Eagle does it anyway; a testament to the overall flexibility of the chassis. The build's low speed and relatively low heat efficiency can make it harder to play in public queue, which tends to favor builds that can output damage more often. That said, as long as you make sure you land all your shots and position yourself near cover so you can cool off safely, the build will perform. Make sure to fire the PPCs in two groups of two to avoid ghost heat. This build is identical on the VGL-3. A versatile build without any glaring weaknesses, triple cERPPC suits the Vapor Eagle well. This build runs fairly cool as long as you make sure to split your PPCs into two weapon groups, though all three can be fired together rather liberally in some situations. In order to maximize the effectiveness of this build you must make sure to land all PPCs on the same component. While this can be challenging, it can be accomplished by practicing careful aim, and by refraining from taking sloppy shots reflexively. The respectable pinpoint damage of gauss + PPC combined with the decent torso mounts, speed, and agility of the Vapor Eagle results in flexible build with few drawbacks. Take advantage of this build's range and agility to win trades against opponents, and try to avoid brawling since that is one of the few areas where this build falls flat. Make sure to fire your weapons separately to avoid the massive Gauss+PPC ghost heat penalty. This build is identical on the VGL-A. This build lacks the raw damage of other similar builds, instead relying on the improved heat efficiency, speed, and jumping capability it can afford with tonnage that would otherwise be taken up by additional weapons. It's very important to fire your weapons as often as possible, otherwise you won't be able to get enough damage out to be useful. Use your superior agility to position yourself in such a way that you always have a target to shoot, and never stop shooting. This build is identical on the VGL-3 and VGL-A. This variant doesn't boat as many ATMs at the VGL-3, so it is strictly not as good, but the extra energy hardpoint makes it worthwhile to run secondary weapons here. Always try to position yourself so you can get as many 3-damage shots as possible. It's not necessary to fire your cERMLs with each ATM volley, but you ought to whenever you can afford the heat. If you find yourself heatcapped, you should favour the ATMs over the cERMLs. This build is similar to the HBK-IIC, but it trades high mounts to have superior agility. That said, AC2 spam is vastly superior on the VGL-2, so don't run this build unless you really like UAC2s and you want to play your C-Bill boosted VGL-1(S). Take advantage of the range and DPS cUAC2's offer to get free damage on opponents outside of their effective trading range, or to punish opponents running less efficient builds while they are running hot. As with almost all Vapor Eagle builds, make sure to protect your easily-destroyed weapon arm at all costs. Attempting to trade with an opponent using only one or two of your weapons will almost always result in a net loss, so retreat into cover if you find yourself with too many simultaneous jams. This is the dakka variant, though it can do some PPC builds as well. Since it is a battlemech with tightly-clustered hardpoints and jumpjets, the VGL-2 can run dakka more effectively than many heavier chassis. While the all-left-mounted hardpoints may be good for side-peeking, beware of the inherent fragility -- left-peeking corners is the quickest way to get stripped of all your weapons. Take advantage of the range and DPS cUAC2's offer to get free damage on opponents outside of their effective trading range, or to punish opponents running less efficient builds while they are running hot. As with almost all Vapor Eagle builds, make sure to protect your easily-destroyed weapon arm at all costs. Attempting to trade with an opponent using only one or two of your weapons will almost always result in a net loss, so retreat into cover if you find yourself with too many simultaneous jams. This build can seem hot at times, but remember that if you've reached a full heat bar it means you've output considerable damage; don't be afraid to find cover and cool off, it's better than exposing yourself while outputting less DPS. This build trades the high burst potential of the 5UAC2 build for significantly better heat efficiency and consistency. The same gameplay principles that apply to the UAC version also apply here: take advantage of your long range and high DPS, and protect your weapon arm. Try to avoid the "spray 'n pray" mentality that players often fall into while playing dakka, and instead try your best to land all your shots on the same component. This build can be run more effectively on the -1, -3, or -A variants by making use of their torso mounts, but if you insist on running it on the VGL-2 make sure to protect your fragile weapon arm at all costs. With too few energy hardpoints for laservomit and too few missile hardpoints to brawl, the VGL-3 finds itself with fewer options than other Vapor Eagle variants. With that said, it makes a fantastic platform for ATMs, and can run all of the PPC builds from the VGL-1 as well. As with all ATM builds you should only fire at targets in the 2 or 3 damage bracket ranges, and always try to position yourself so you can get as many 3-damage shots as possible. This build lacks any backup weapons, meaning you'll need to take extra care in positioning yourself so that your targets are at least 120m away from you, preferably a little further. A volley fired at a target within the 3-damage range bracket will deal an incredible 108 damage, which is nearly pinpoint if your target is TAG'd. Four cERPPCs is more firepower than a medium mech has any business carrying, but the Vapor Eagle does it anyway; a testament to the overall flexibility of the chassis. The build's low speed and relatively low heat efficiency can make it harder to play in public queue, which tends to favor builds that can output damage more often. That said, as long as you make sure you land all your shots and position yourself near cover so you can cool off safely, the build will perform. Make sure to fire the PPCs in two groups of two to avoid ghost heat. This build is identical on the VGL-1. This build is identical on the VGL-1. This build is identical on the VGL-1 and VGL-A. The VGL-4 has seven energy hardpoints, more than any other Vapor Eagle, and can run just about any laser build with an extreme degree of efficiency for its weight. Unfortunately, it pays for this by having all of its energy hardpoints in its easily-destroyed arms, and by being the only VGL without access to jumpjets. With good positioning, however, these drawbacks can be significantly mitigated. While you can run PPC builds on the -4, you should avoid doing so due to the variant's lack of jumpjets and torso hardpoints; run PPC builds on the -1 or -3 instead. With high firepower and good range, Clan laservomit has been a staple of the metagame for as long as it has existed and is worth running on any chassis that can do so efficiently. The VGL-4 is no exception, it is one of the most heat efficient laservomit mediums in the game, but it makes a few sacrifices in the process: everything is mounted low in fragile arms and you don't get jumpjets, so you need to play carefully to avoid making yourself an obvious target. The VGL-4's inherent agility, tonnage, and -10% cooldown quirk synergize very well with cMPLs, turning it into a versatile brawler and skirmisher. This build is best played with the mentality of a light mech - using your speed and heat efficiency to eliminate isolated opponents. Be careful not to become the target of multiple enemies, as your arms are fragile. The VGL-A can run a variety of builds, but it is the only Vapor Eagle variant capable of running a high-tier brawl build. With four missile hardpoints, the -A is capable of running any kind of missile build effectively, but due to their location on the chassis' arms it is susceptible to losing weapons early in a match. Like other VGL variants, it can run dual PPC builds as well. This classic brawl build is yet another example of the Vapor Eagle's ability to run builds normally seen on significantly heavier chassis. This builds' exceptionally high burst DPS can easily defeat most other builds in a one-on-one fight, though it's preferable to focus on finding targets that aren't looking at you. The Vapor Eagle's fragility holds the build back quite bit since its arms can be very hard to protect while brawling, and the convergence on its arm-mounted SRMs leaves a lot to be desired. Play carefully and maintain your weapons for as long as possible, and you'll find yourself carrying matches. This build is identical on the VGL-1 and VGL-3. Hardpoints? Check. Tonnage? Check. Jumpjets? Check. You can run LRMs on this. Since you can afford equipping Narc, you should actively Narc your own targets and fire at them indirectly - as such you won't be needing Artemis. However, when enemies aren't focused on you, you should being using TAG to get improved spread with direct fire. The VGL-RI is by far the least useful of all the Vapor Eagle's variants. Its overall lack of hardpoints prevents it from running most builds, and the builds it can run are done more effectively on other variants. The Rival does has access to MASC, but isn't able to run any builds that would truly benefit from it. In other words, this hero is trash - don't buy it. This is probably the most effective build on the Rival, but you should be playing it on the VGL-1 or VGL-A instead where it is more effective with torso mounts. The Rival does offer flexibility with its arm mounts, but that "advantage" is far outweighed by the fragility and worse convergence. Remember to protect those arms and make sure to fire your weapons separately to avoid the massive Gauss+PPC ghost heat penalty. The only thing the Rival offers over the other variants is MASC. This build really should be run instead without MASC on the -1, -3, or -A using their torso mounts, as it is better that way - the MASC doesn't really offer much. But if you insist on playing a Rival, you might as well build it like this.